To comprehensively cover our services, we include all project components from design to construction - engineering, supplies (equipment and materials) and execution - in our range of solutions and services. Soletanche Freyssinet has its own supply chain. We build our own machines and produce the special materials required for our projects. This enables us to be highly responsive, reduces the number of client interfaces and supports better risk control. Innovation consists in devising, designing and marketing a high value-added breakthrough product. At a time when contracting authorities are seeking comprehensive turnkey solutions, from design studies to project closeout, Freyssinet focused on integrated innovation: structure, products, methods and works. 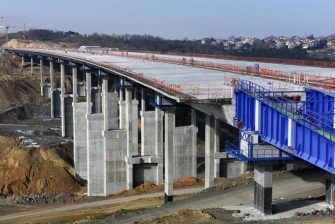 For the Çallı bridge which was handed over in a record seven months and completed in July 2016, Freyssinet combined innovations and proposed an extrados based alternative solution combined, for the first time, with a special deck and tower isolation system. The use of elastomer isolators with lead cores limits the forces transmitted in the extrados cables. Another innovation on this viaduct was the use of extrados 1,960 MPa strand stay cables. 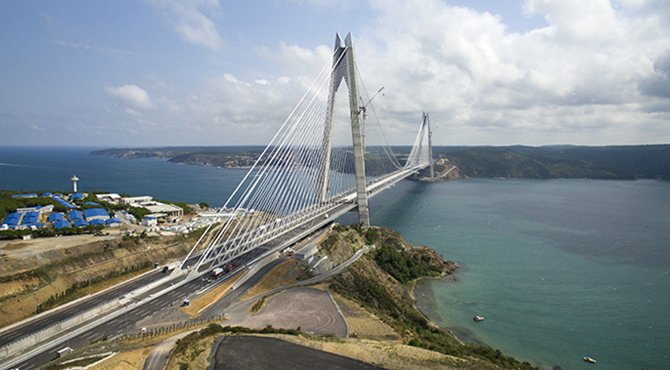 This unusual steel grade was first used in the construction of the Yavuz Sultan Selim Bridge. This is the combination of innovations in design, equipment and construction methods that defines the company's added value and makes it possible to deliver high quality structures on time, with optimised costs and quantities of materials. 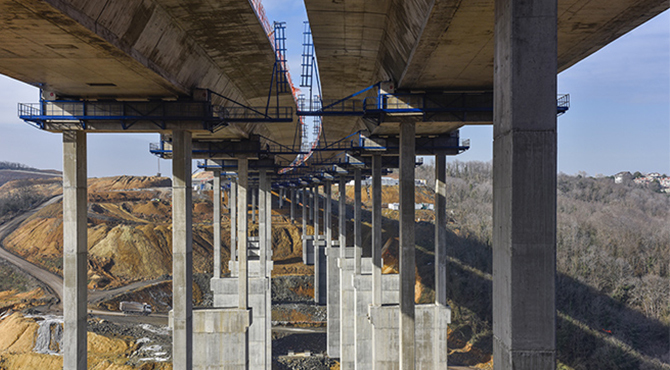 In designing viaducts for the Northern Marmara Highway project in Turkey, Freyssinet teams reduced the quantities of materials used by 45% while accelerating the pace of construction. 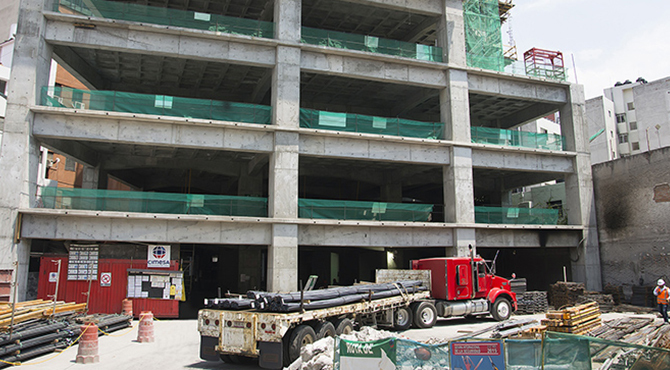 The quantity of concrete was cut by 35% and steel 50%. 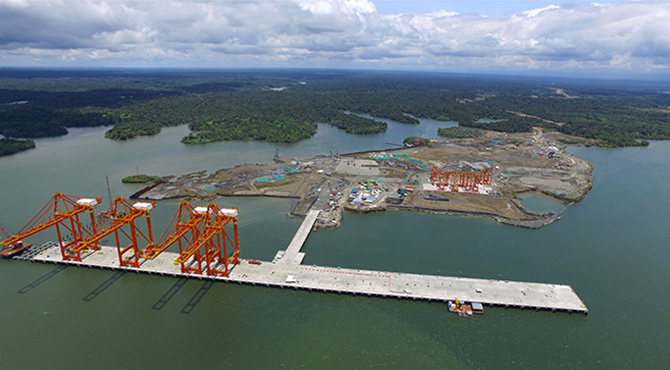 This was achieved by using an innovative seismic design suited to the specific features of the structure, which has 80-metre-high piers, and the incremental launching method to build the deck, which is rarely employed at these heights, as well as viscous dampers in the abutments. "A unique range of products and vertically-integrated solutions"
Tobias Gustavsson : We are working in a different country and a different sector, but we have the same goals in terms of diversification. Nuvia Nordic AB operates in the nuclear sector with clients such as EDF-Cyclife and Vattenfall. We are specialists in consulting in engineering, mechanics and operational radiation protection, but we have widened our offer in the fields of decommissioning and waste characterisation in response to market changes and in line with the entire Nuvia Group's move to diversify beyond our decommissioning and New Build operations. We put together Group-wide, transnational business development teams to work on penetrating new markets. For example, we are broadening the radiation protection business to increasingly include the medical sector (radiotherapy facilities for use in cancer treatment, etc.). Manuel Peltier, Chairman and Chief Executive, Soletanche Freyssinet : Nuvia is developing a unique range of products and vertically-integrated solutions. Within Soletanche Freyssinet, the combined engineering, products and services model is the driving force underpinning our offers. 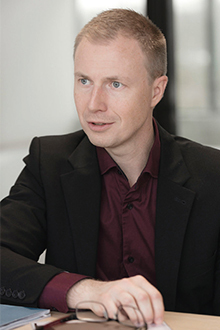 Tobias Gustavsson : Yes, comprehensive expertise gives us an edge over our competitors, who are often specialised in a single technology or service. We come up with the solution that best meets our clients’ needs while systematically focusing on responsiveness and service. Manuel Peltier : In the future, we will continue to build on our strong engineering capabilities to design solutions and services increasingly tailored to our clients’ requirements. 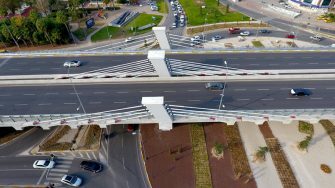 Whenever possible, for example, we offer contractual solutions such as Early Contractor Involvement (ECI) or partnering, because such contracts enable us to be involved in the project very early on and to involve the client in all the important choices during the design phase, while shortening lead times and reducing project costs. We have many such arrangements in the United Kingdom in areas such as decommissioning, where the project parameters are not totally known at the start. The partnership approach will spread and we are fully prepared to adopt it.